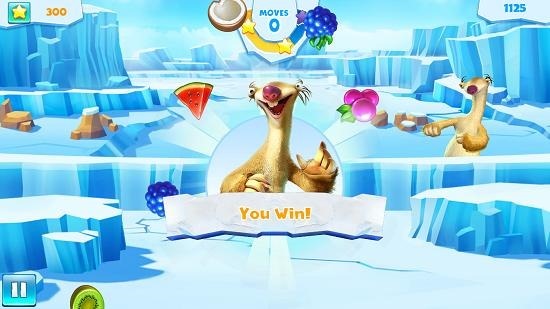 Ice Age Avalanche is a free match 3 game developed by Gameloft studios for Windows 8 and 8.1 devices. 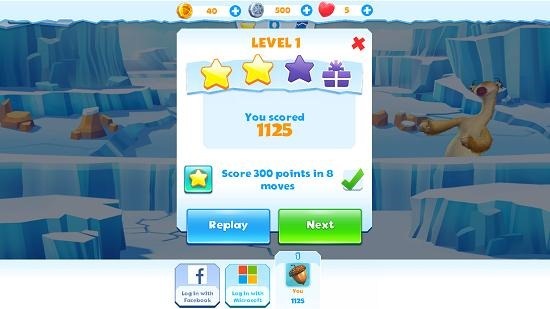 In the game, you have to match three similar objects in a level to complete the level with high scores. The game’s story revolves around how Sid the sloth’s granny hid her treasure in her twenties and had a dream or a recollection of memory of where she hid it. 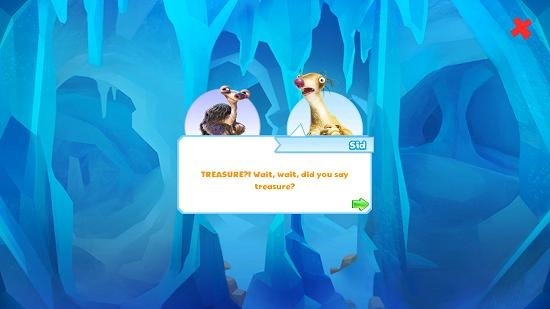 You now play as Sid in search of her treasure. Along the way, you will meet your comrades as well! The game is easy to play with it allowing you to swipe the puzzle pieces horizontally, vertically or diagonally to create a combo of three. Some levels are restricted by number of moves whereas some are restricted by the time. 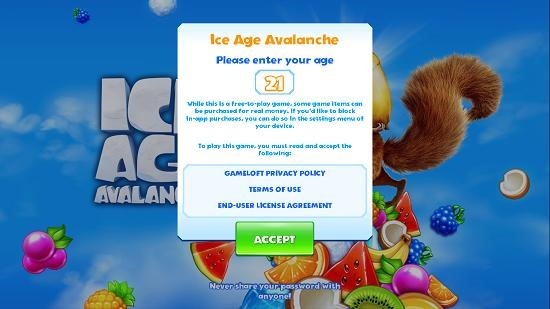 Ice Age Avalanche is available for free from the Windows App Store. Coming from Gameloft Studios, the game is great in the graphics department and also when it comes to audio effects, etc. When you run the game, you will be presented with the below screen. Here, you will be asked to confirm your age for the best experience. Enter your age, click on accept. Now you will be taken to a brief introduction of the game. Once the intro is through, you will be brought to a level selection screen which can be seen below. 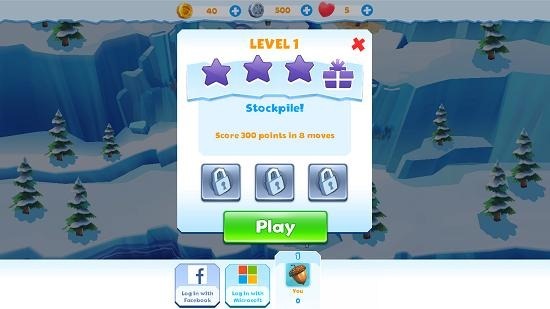 Clicking on an unlocked level will show you the level’s objectives. Click Play to begin the gameplay experience. As it’s the first level, you will see a brief tutorial. You can see your remaining moves at the top center of the screen. 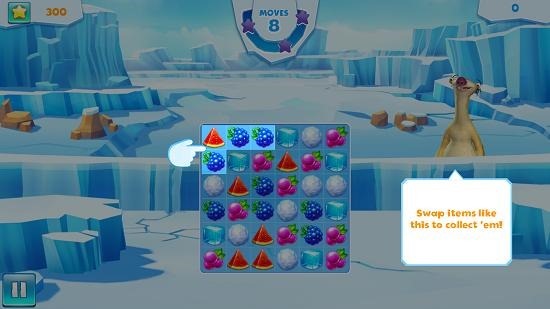 Once you have made your move, your combo will be created if you played correctly and score will be credited to you at the top right corner of the screen. At the end of a level, you will be shown a prompt which shows you if you won or lost. This is followed by your score and star rating that you got in the game. 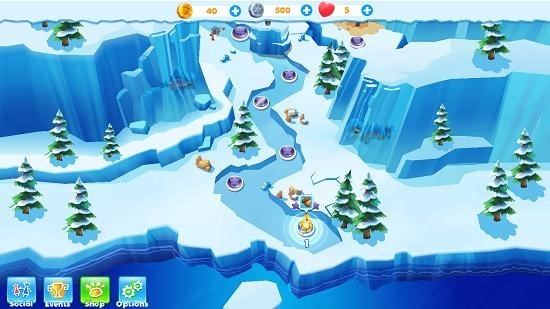 This is a wrap of the main features of Ice Age Avalanche for Windows 8 and 8.1. 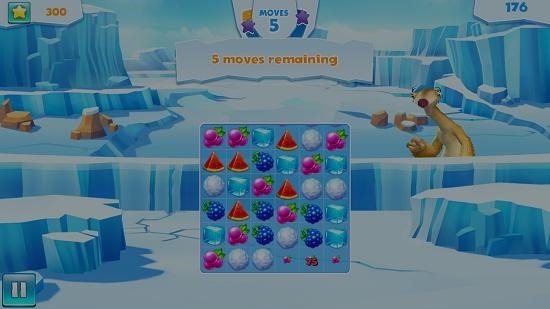 Ice Age Avalanche is a nice match 3 game for Windows 8 and 8.1 with great graphics and audio effects to match. Although it weighs in at over 100 Mb, the game is worth a download for the sheer fun of playing it and whiling away your time when you have nothing else to do!